Because if you can't laugh at life…you're doing it wrong! 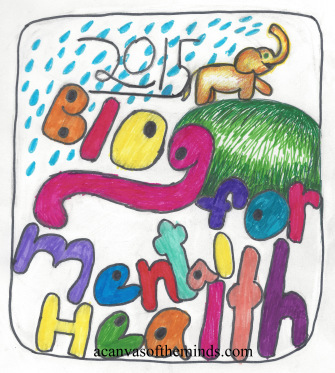 Proud to Blog for Mental Health in 2015! I pledge my commitment to the Blog for Mental Health 2015 Project. I will blog about mental health topics not only for myself, but for others. By displaying this badge, I show my pride, dedication, and acceptance for mental health. I use this to promote mental health education in the struggle to erase stigma. I stumbled across this on one of my rare sojourns into looking at what other people blog about on WordPress. Its not that I’m not interested in what other people have to say, its just that I’m really busy and don’t have a lot of time when I’m sitting at my computer. My followers, and those that know me personally know that I sometimes struggle with mental health issues and sometimes I talk about it here. I’ve never regretted it when I have. But often I won’t, for various reasons that are usually not good ones. I will continue to do so, in hopes that someone who is struggling may read about my experience and realize that they are not alone. Hey Harper, Where’s our Budget??? When is it time to say good-bye? The Best Super Power Ever! I do take the occasional commission if the work is interesting...and I have time.